Over 2,000 sq.ft. 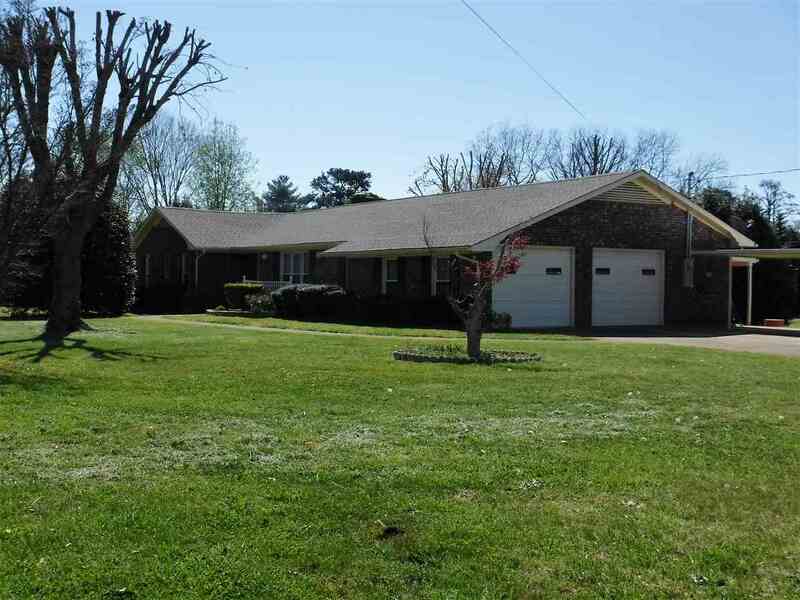 brick rancher on 1 acre in Shiloh area! Well maintained with many recent updates including new roof and Carrier heat pump. 218 sq.ft. sun room addition off family room (not included in finished square footage). Replacement thermal windows. Eat-in kitchen remodeled in past 10 years. Hardwoods under carpeting, per owner. Interior features include entry foyer, large living room, separate dining room, kitchen with eating area and 2 pantries, laundry room, brick fireplace with gas logs in family room, master bedroom with walk-in closet, large hall bathroom with MBR access, 2nd and 3rd bedrooms with Jack & Jill bathroom, and lots of closet space in hallway. Side-entry 2 car-garage. Expanded concrete driveway with additional carport. Covered patio. House positioned on lot, so there are both large front and back yards. Nicely landscaped. Larger trees have been trimmed/cut back. NOTE: Owner will install new carpeting for buyer. Call for additional details. Room Comments: 218 Sq.ft. Sun Room Addition Not Included In Finished Square Footage.